Argentine Tango is a social dance style that requires a partner. 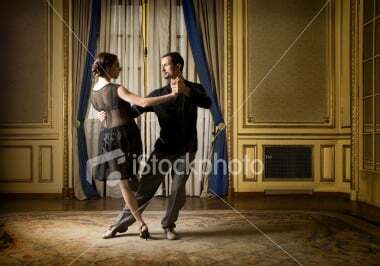 Dancers doing the Argentine Tango should be in a close embrace, where the man leads and the lady follows. Argentine Tango covers a variety of dance styles: Tango canyengue, Tango orillero, Salon tango, "Estilo milonguero" (tango apilado/confiteria style), Tango nuevo and Show Tango. Argentine Tango differs from Ballroom Tango in most aspects - music, posture, the embrace, movement and steps.